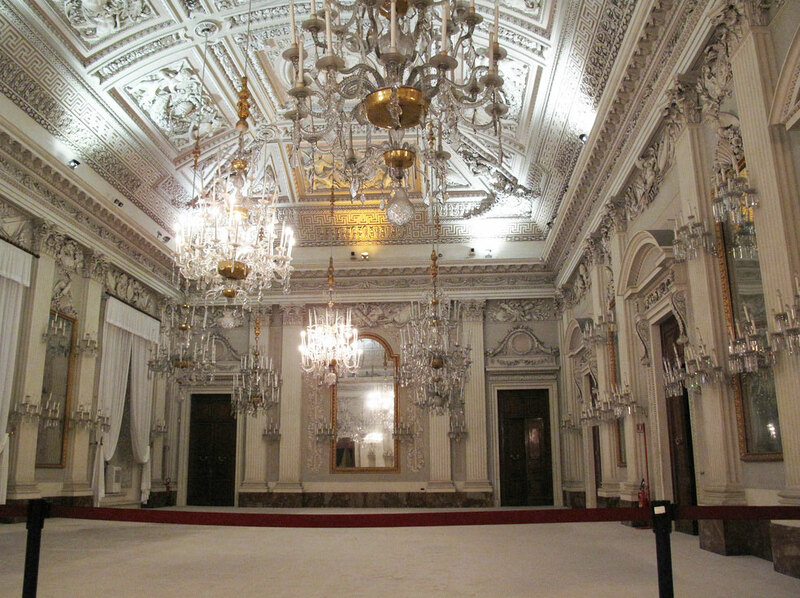 The Monumental Apartments take up the right wing of the main floor of the Pitti Palace and are an important record of the history of the palace over three subsequent historical periods. 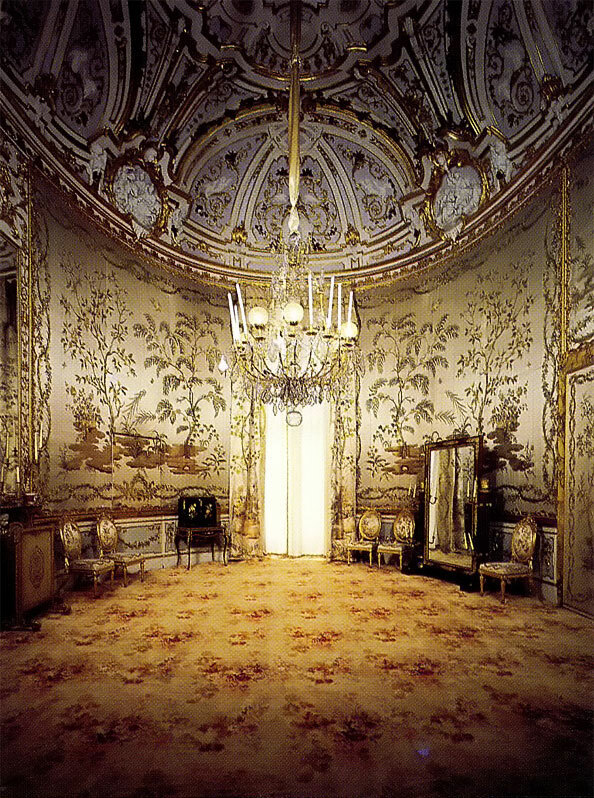 To the first period (mid-16th century end - 17th century), characterised by the sumptuousness of the Medici court, belong the rooms along the façade that were specifically built for the heir. 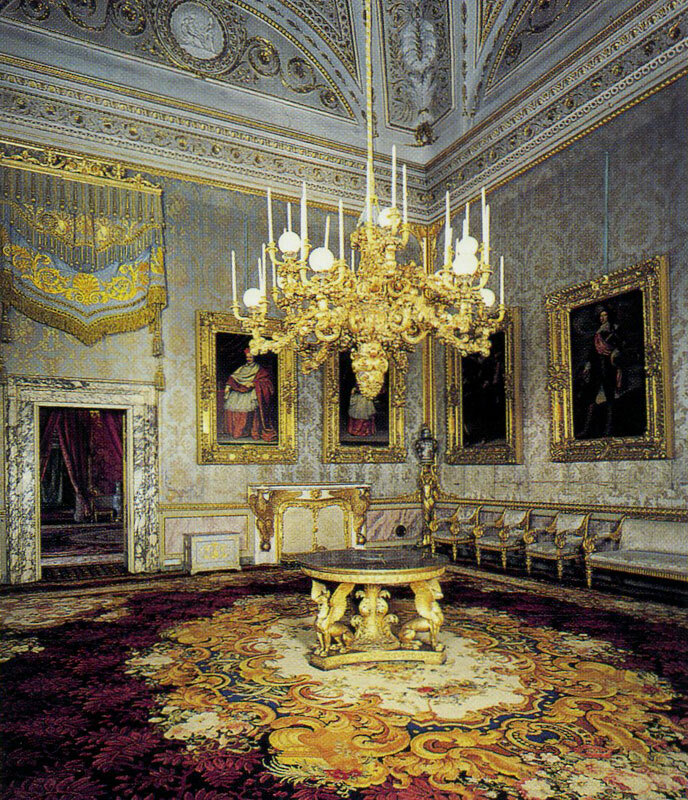 The corresponding rooms on the side were destined to his wife. 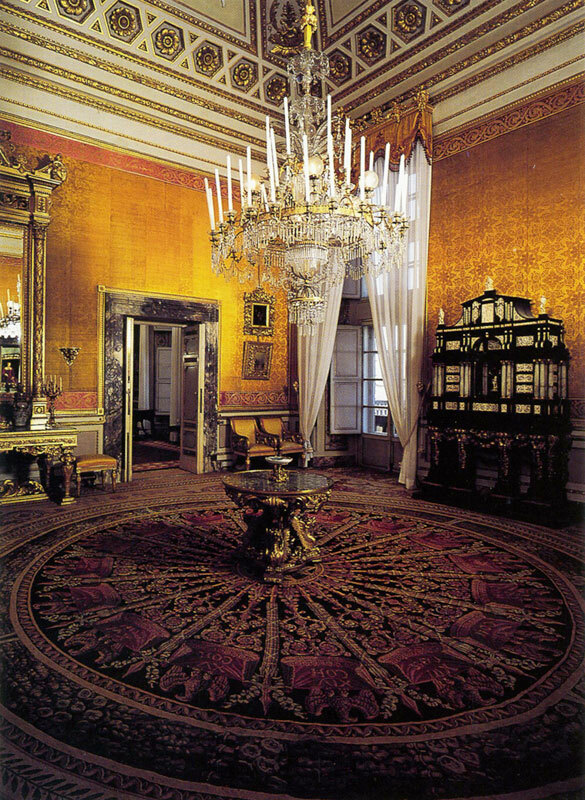 Today, they retain the layout given by the Grand Prince Ferdinando dei Medici who lived in this palace until he died (1713). 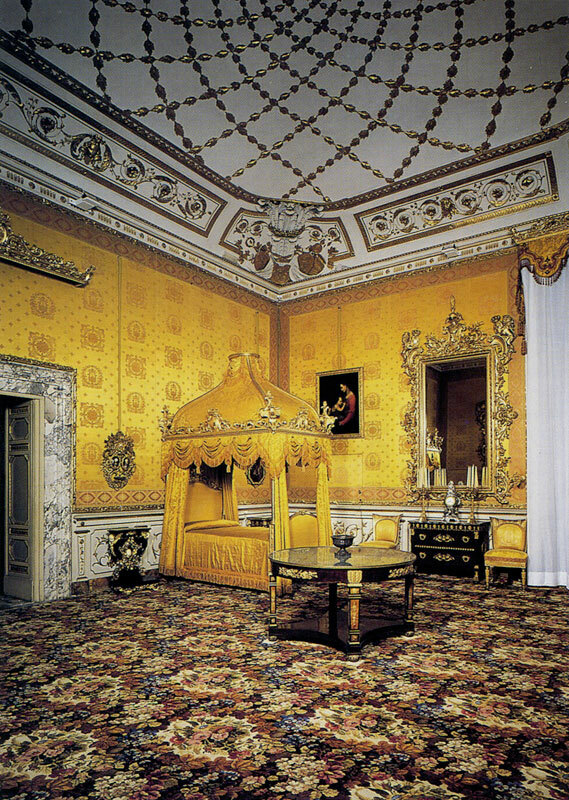 There are still a few treasures from the Medici period, including the precious ebony and semi-precious stone cabinet that belonged to the Grand Duchess Vittoria della Rovere, the wife of Ferdinando II (17th century) and the chapel, once the bed alcove of the Grand Prince Ferdinando. 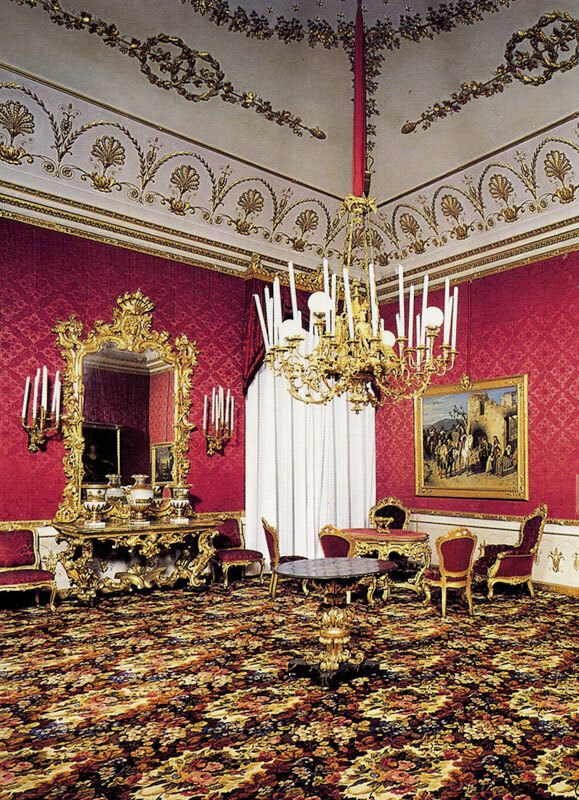 Its late 17th century character is still evident in the stucco decoration and in the gilded inlaid work by G. Battista Foggini (1652-1725) and the "Madonna" by Carlo Dolci (1616-1686) with its precious frame. 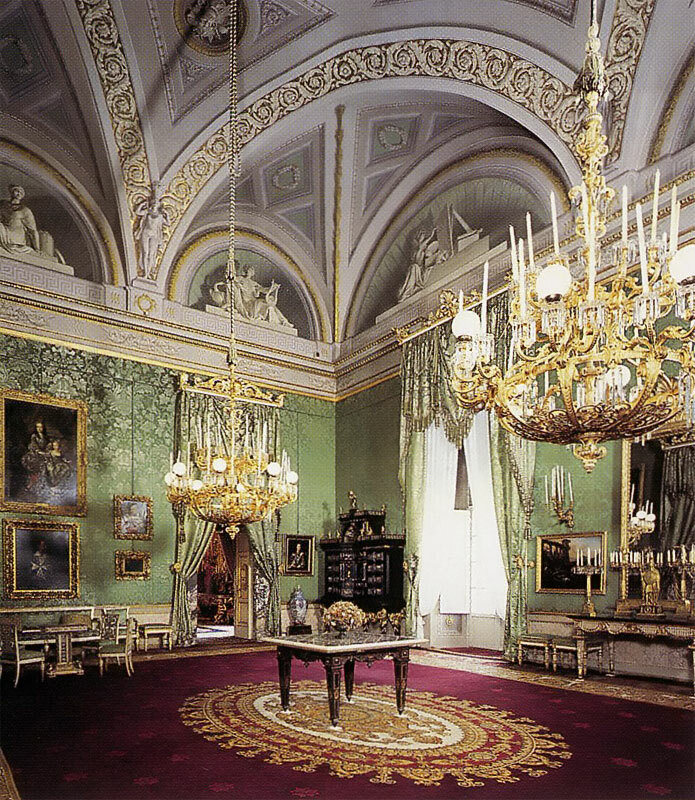 At the time of Italy's Unification and when Florence was briefly chosen as capital of Italy (1866-70), the Apartments were used by King Victor Emanuel II of Savoy. 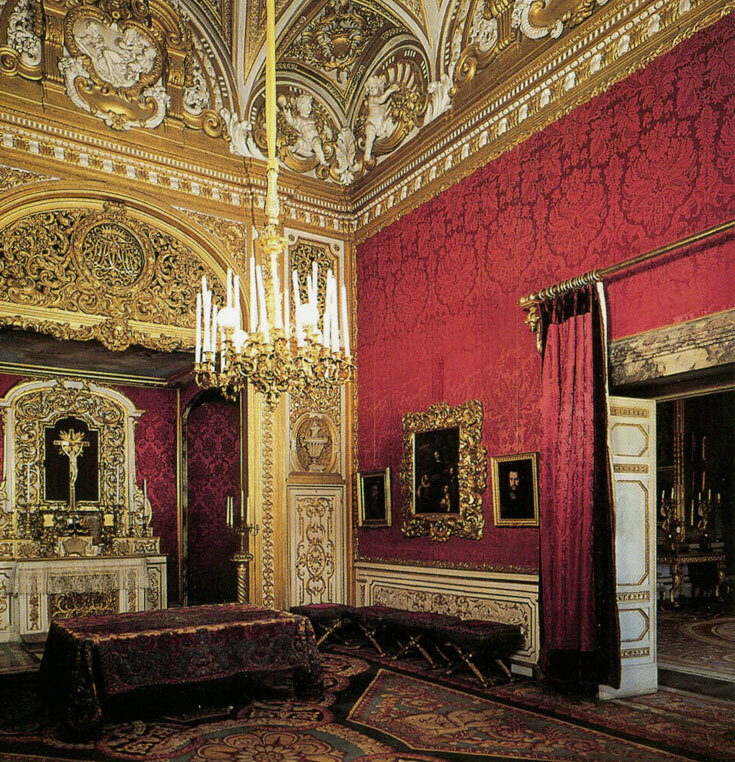 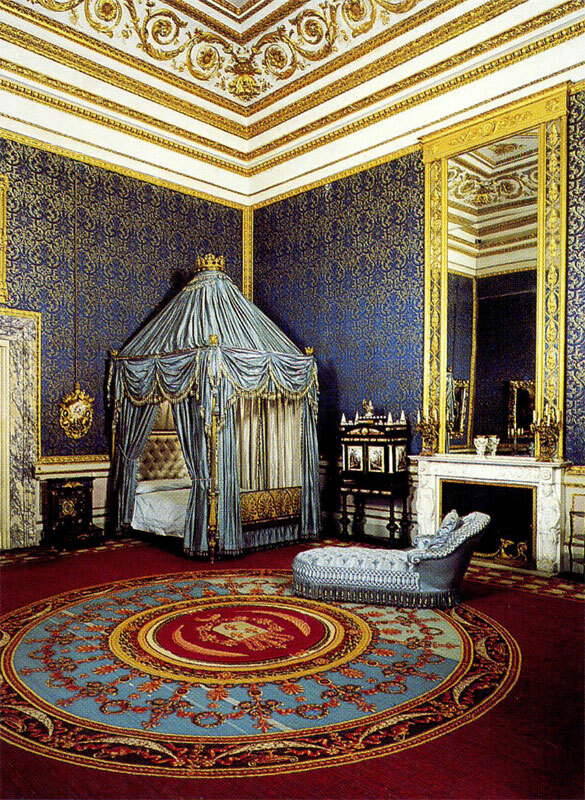 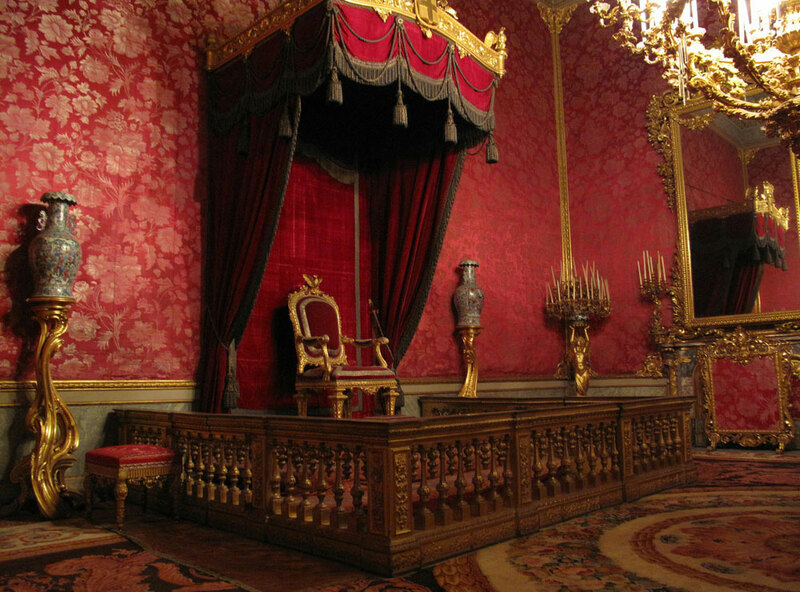 Some rooms were entirely refurnished and carpeted according to the taste of the period, as the mid 19th century Baroque red damask in the throne room shows. 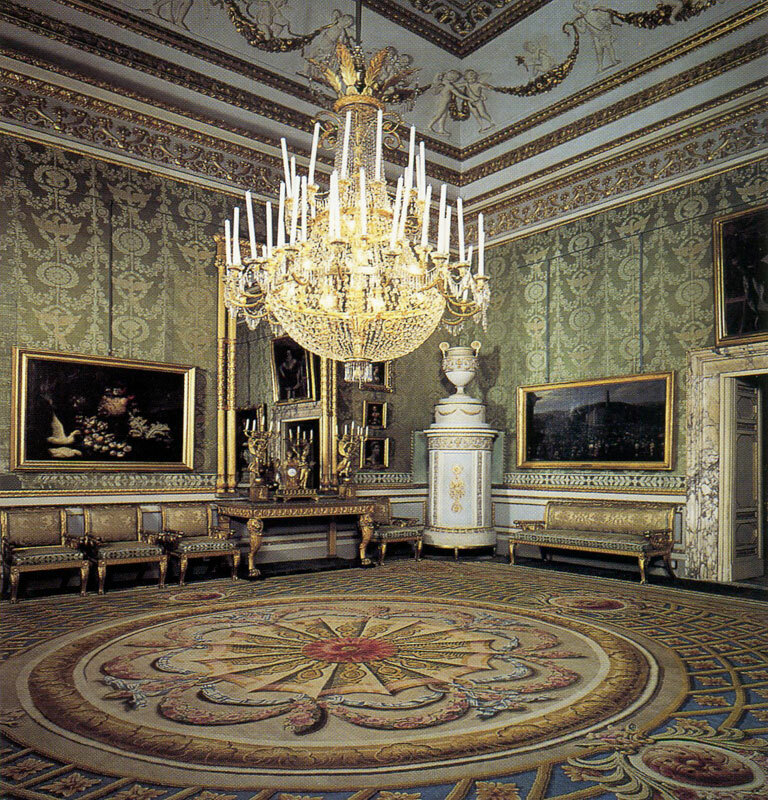 The three different styles that correspond to three different historical periods, are harmoniously balanced in these precious rooms that were reopened to the public in 1993 after the restoration and general reorganisation of the inventory of the Pitti Palace, performed in 1911, that gives us an idea of its appearance before its transfer to the State (1914). 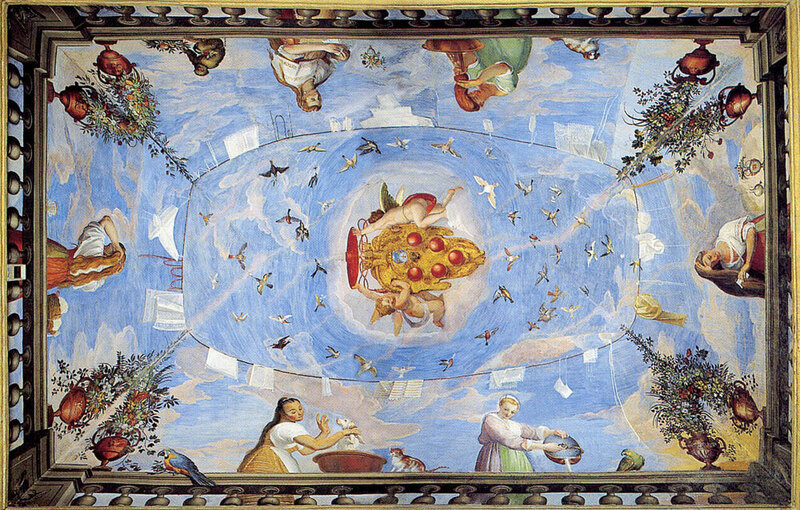 In addition to the above-mentioned rooms, it is worth visiting also some of the rooms located on the sides of the first group, like the ,,Room of Bona" frescoed by Bernardino Poccetti in 1608, and the ,,White Room", which was entirely decorated with stuccoes by Grato Albertolli during the reign of the House of Lorraine.